High water levels: It caused erosion and sediment from shore, darkening the water. An early hot spell: This caused high weed growth throughout the lake. Overall, it would have been a good year to paddle and fish along the edge of the weed lines for crappies and perch from rowboat or canoe. I had a few bites using crappie minnows on a jig under a slip bobber, but no luck! Sunfish are biting red worms under a split shot and a bobber. Bass are biting crawlers and along the shore as well. There is a good evening bite for bass skipping a frog over the lilies. I helped land a 40” Musky that Ross Powell of Madison caught on a plastic worm. He was fishing for bass along the shore by the zoo. Once the lake turns and some of the weeds die off and are depleted, try and use crappie minnows by the dam or near the weed edges. Remember to move around if the fish aren’t biting as most panfish travel in schools. Keep a positive attitude and believe there is fish in Wingra. 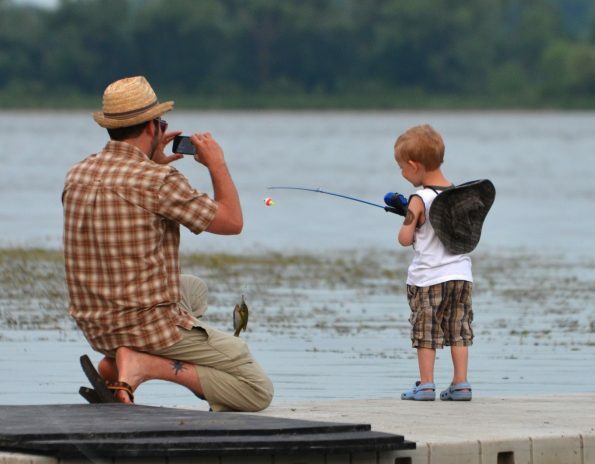 If the fish aren’t biting, try and get in the habit of bringing a trash bag with you and collect some waste while you’re out on our beautiful lake! If you have any questions about fishing Lake Wingra or tips on where to find fish, what tackle to use, etc., send an email to FishingWingra@Gmail.com. Until next time, “tight lines”!